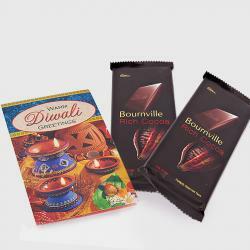 Product Consist : Box of Soan papdi (Weight : 500 Gms), 10 Assorted Indian Chocolates Bar along with Set of Diwali Diya. 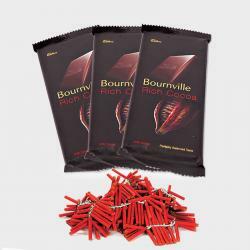 Give your relatives a Love token on this Diwali festival with this brilliant gift hamper. Let your adorable dears to be surprised in a lovely way on this day. Show Caring love for your dearly family members in a unique way as you present him this gift hamper on Deepavali Occasion. 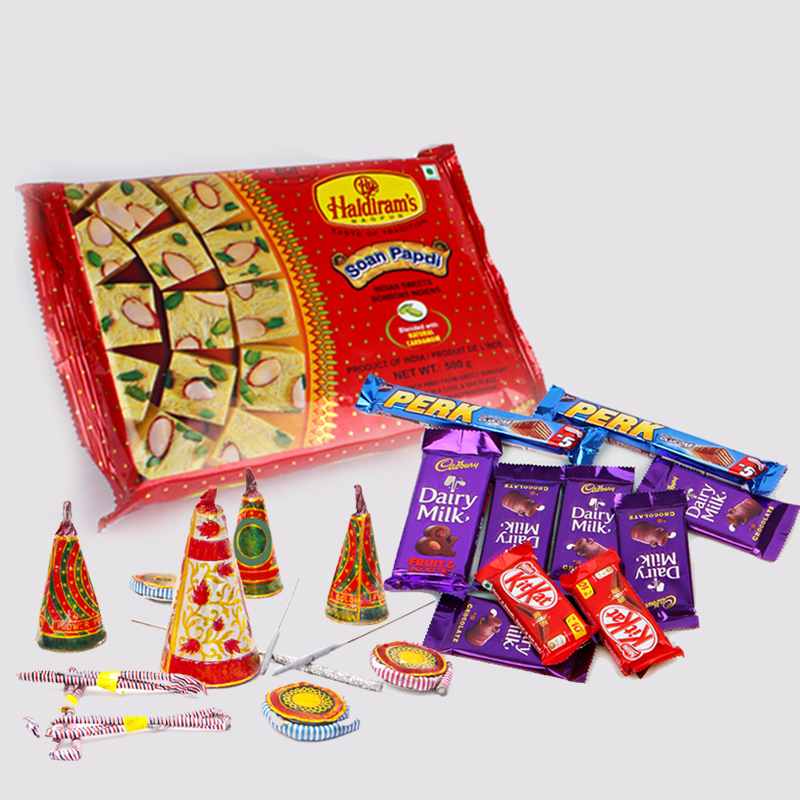 A perfect way to make the day extra special for them, this hamper comprises of Assorted Chocolates, Set of diwali divas and a sweet Cadbury chocolates is sure to make the auspicious occasion even more special for all receivers. 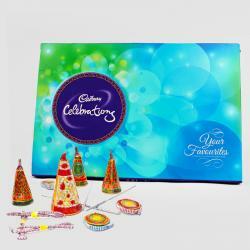 Product Includes : Box of Soan papdi (Weight : 500 Gms), 10 Assorted Indian Chocolates Bar and Set of Diwali Diyas.